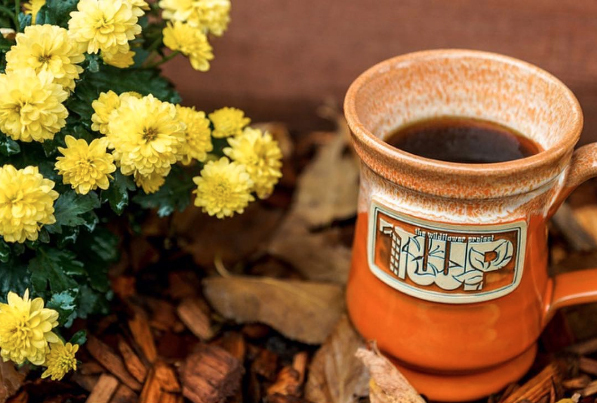 In the throws of summer we begin to prepare for the holidays… It’s crazy to have to think down the road 4 months, but when it comes to making handmade stoneware everything takes time! 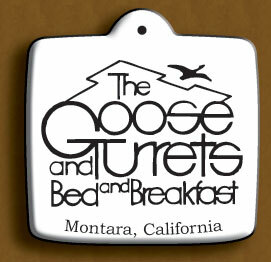 “One Christmas season I gave all guests a handmade ornament from Deneen Pottery with my Goose & Turrets logo. One guest, a young lady from Australia, began to cry, and she flung her arms around my neck and said, “You are just so sweet, that’s the only present I’ve gotten this Christmas.” I will never forget that experience nor that Deneen Pottery was a part of it. Real ornaments are threaded with golden string, and depending on the graphics can incorporate a solid glaze color. 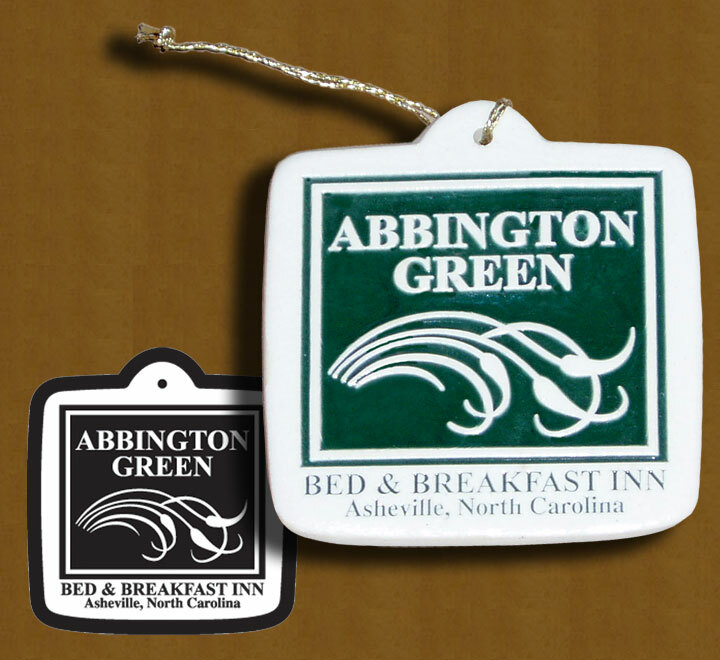 below is an actual image of one of the ornaments that we are currently making for Valerie Larrea, the Innkeeper and Owner of Abbington Green B&B. When I was talking with Valerie last week about her re-order she said that she loves giving them out around the holidays… “Giving away an ornament to guests upon departure is such a nice thing… An unexpected and truly appreciated feeling. It is my hope to remembered, and that my act of kindness will lead into a story, to others, about the stay.” It really is the small things in life that can have the most impact and are what we truly remember. 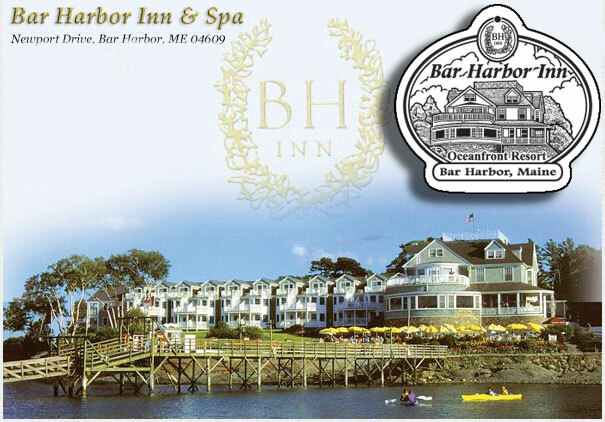 Deneen Pottery will be making an ornament that will feature a different building on the grounds of the Bar Harbor Inn. The first year is pictured above and features the Main House. We aren’t sure who is going to be the lucky reciepients of these handmade keepsakes, or what the next year’s ornament will feature, but we are proud to be a part of this tradition! Each ornament is made by hand, pressed from a white stoneware clay body that is specifically engineered for our company. From beginning to end each ornament will be touched by 12 pairs of hands, fired twice, and finished off with golden thread. 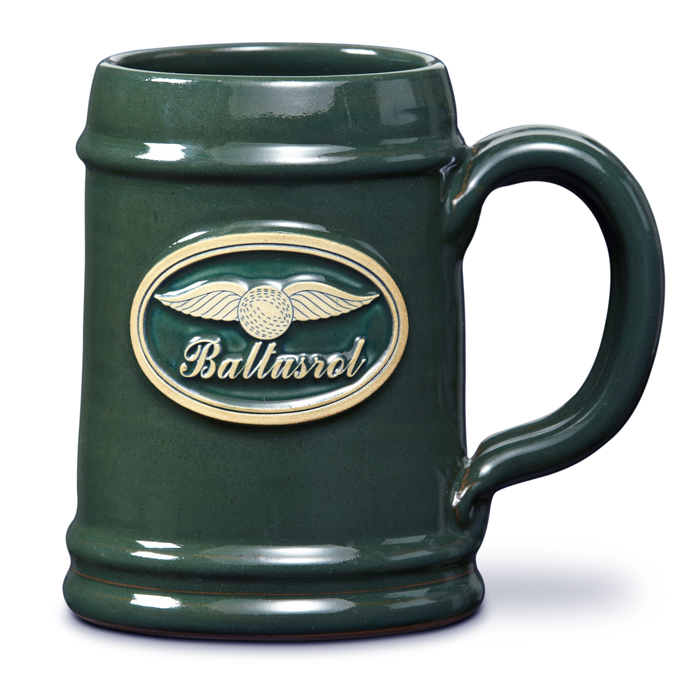 Like all of the stoneware mugs that we make, these ornaments are lead and cadimum free. Clarity and detail, memories and kindness, love what you do and do what you love! If you are curious about the special, or have any questions, give me a call! 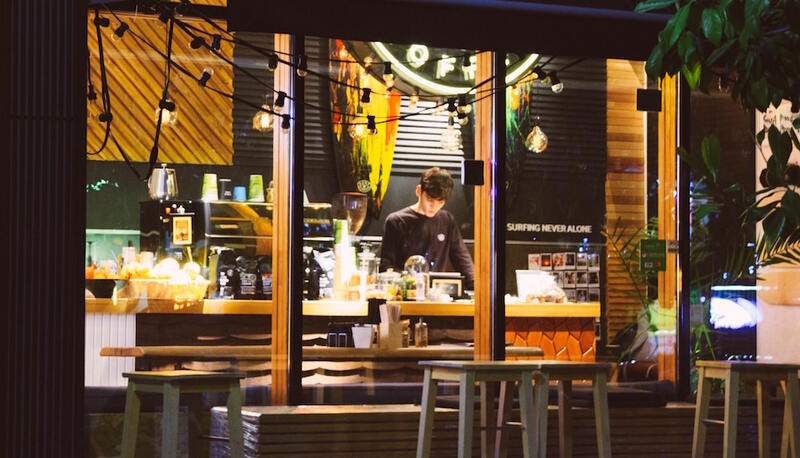 Thanks for reading today’s blog.